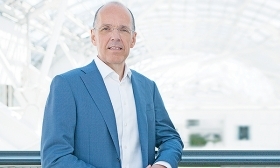 Autoliv CEO Jan Carlson: "The opportunity to work with Adient is very interesting." FRANKFURT — Autoliv, the world's largest airbag supplier, recently announced it may spin off its electronics division into a stand-alone maker of electronics for self-driving vehicles. The Swedish supplier also formed a partnership last month with seat-maker Adient to design airbags and seat belts for these vehicles. Autoliv CEO Jan Carlson, 57, discussed these and other initiatives with Automotive News Staff Correspondent David Sedgwick last month​ during the Frankfurt auto show. You've just announced a partnership with Adient to design safety systems for self-driving vehicles. Why is this necessary? If the compartment is changing to let the driver and passengers sit in different positions, we need to redesign the airbag. To have a partnership to integrate this is an advantage. With the announcement, you showed the audience an illustration of an airbag that would shroud the driver's head and upper torso like a hood. Are you developing this? We are looking into it. 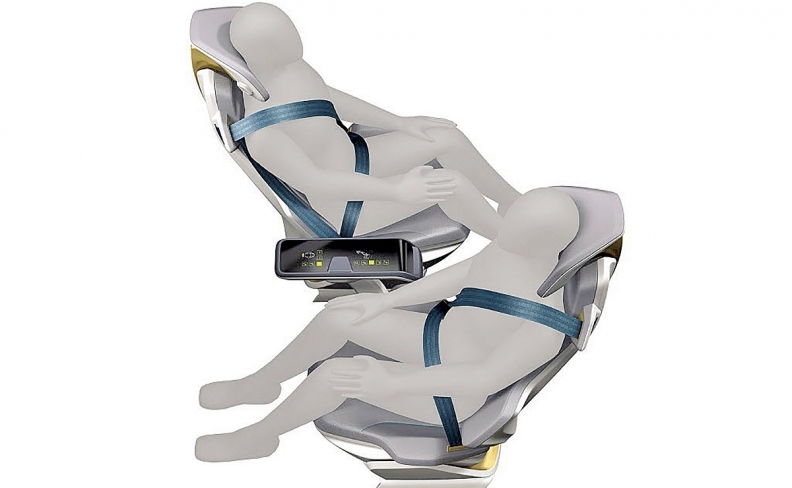 We want to see how we can do that, to make airbags that are compliant with passengers in different positions. This requires a different structure for the seat. That's why the opportunity to work with Adient is very interesting. Do you want an opportunity to optimize the seat and airbags before the design is frozen? The biggest benefit is that you can develop the airbag together with the seat structure so that you can have seamless development. Otherwise, it would take longer and be more costly. As partners, we can jointly propose this to the automakers. I think it will be compelling. ZF and Faurecia announced a similar partnership this year. Did you feel a sense of urgency? We see a real need for this. There is a market for it, and customers are interested. If you can do it faster and better together, why not? When do you and Adient expect your seat-and-airbag designs to enter production? We haven't laid out any specific plans to target certain customers. Autoliv also is developing sensors, software and electronic control units for self-driving cars. When will you produce them for Level 4 cars that can drive themselves for extended trips? Right now, we produce components for Level 1 or Level 2 vehicles equipped with collision-avoidance brake systems. Revenue from Level 4 and Level 5 would start flowing on the software side in 2021. Autoliv will design safety systems for self-driving vehicles with Adient. An Adient seating concept is shown. Last year, Autoliv formed a joint venture with Volvo — called Zenuity — to develop software for self-driving vehicles. Is that venture still hiring? That venture now has 450 engineers, and we are looking to have 500 to 600 in the first half of next year. We are working with customers, and they are interested. Is Zenuity targeting customers that don't have much expertise in this technology, such as electric vehicle startups, Chinese automakers and smaller automakers? We also may talk to some bigger automakers that haven't made a big investment in self-driving cars. When will Zenuity's software be ready? We are developing our collision-avoidance platform for production in 2019, and higher levels in 2021. Autoliv lacks expertise in navigation, high-definition maps and steer-by-wire. How will you fill these gaps? Zenuity will make the decisions on some of those technologies, such as map providers and cybersecurity. We are looking for partnerships. Zenuity would do that. So Zenuity will fill the technology gaps? Some of them, but not all of them. Zenuity wouldn't handle steering systems. That would require hardware. Autoliv will handle radar, cameras, brakes, airbags, etc. Would Autoliv consider a partnership or acquisition to develop steer-by-wire? I'm not sure we would consider an acquisition. I'm open to partnerships and collaboration. Autoliv may divide itself into two companies, one that produces airbags and one that produces technology for self-driving cars. How will this affect your customers? I wouldn't think it would affect them so much. The two divisions operate quite independently today. Customers want to continue dealing with people that they trust. You do business with people, not legal entities. Continuity is important. In a spinoff, Autoliv's electronics unit would need lots of cash to bankroll r&d for self-driving cars, right? We will be able to do that. That's what is important for customers. And you will see more agility after a spinoff. The new companies could form ventures with others. How much are you spending on r&d for self-driving cars? We haven't publicly quantified it. Active safety does come with a price tag, and it requires a substantially higher investment. Then what is your overall r&d expenditure for passive and active safety? Our investment in r&d has risen from 5.7 percent of total sales in 2015 to 7.5 percent in the first half of 2017. So your r&d is 7.5 percent of sales now? Yes. We announced it in the fourth quarter of 2016, and we kept it up in the first and second quarters this year. How long will you keep r&d expenditures at that level? During the crisis of 2009, we did not ease up on spending for engineering. We cut 25 percent of our work force, but we added 300 engineers at the same time. This is the recipe for our success. I don't think there is any choice. What is the content per vehicle for passive and active safety? For safety content, $300 is the industry average. That's going up. Active safety is worth $50 per vehicle, and by 2025, that will rise nearly fivefold to $230. So passive safety, which includes airbags and seat belts, is worth $250 per vehicle? Yeah, that's a ballpark estimate. You've said Autoliv's share of global passive-safety sales will rise from 39 percent today to 45 percent or more in 2020. Is that because of the financial crisis at your Japanese competitor, Takata? It's hard to say. Takata's financial difficulties are having an effect, of course, but it's hard to quantify that. This year, Autoliv is winning 55 percent of airbag contracts that it bids on. Are customers giving up on Takata, even though it is being acquired by Key Safety Systems? We don't know. Key Safety has announced plans to buy Takata, and still we are winning 55 percent of our bids. So the announcement hasn't given the customer any relief. What happens when Key Safety takes over Takata is hard to speculate. Do automakers view Key Safety as unproven? Key Safety is an industry player, and they do have market share, and they win business. I can't speculate about what customers think. But it is a difficult situation. Takata is a big company, and Key Safety is a smaller company, and they have to integrate. How that will play out, I don't know.